KRRO Radio Station, HuHot and Community Blood Bank will partner up to save lives at the annual KRRO Halloween community blood drive event held on Friday, October 26 from 10:00 am to 2:00 pm at HuHot (41st St. and Western Ave.). The public will have an opportunity to donate blood to help local patients in the hospital during the fall season. All blood donations will go directly to saving patients’ lives in Sioux Falls hospitals. All who donate will receive a pair of movie tickets and a thank you gift, compliments of HuHot. Every three seconds someone needs blood, the only way to ensure that those needs are met is to rely on volunteer donors to donate blood. The need for local blood donors is immense. 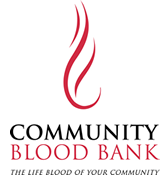 The Community Blood Bank supplies over 550 units of blood each week to people in the Sioux Falls region. Among those who benefit from donated blood are trauma and burn victims, cancer patients and persons undergoing surgery. Donors must be at least 17 years old (16 years old with a signed parent consent form found at www.cbblifeblood.org), weigh 110 lbs or more and be in good general health the day of the donation. Please bring an I.D. It is recommended that a person eat and drink plenty of fluid prior to donating. For more information log onto www.cbblifeblood.org or call Community Blood Bank at (605) 331-3222.